Stephen King calls him a “terrible writer”. Book reviewer Bill Morris says that Patterson doesn’t really write books as much as he produces products. The British newspaper The Telegraph calls his novels a “bestseller factory”. People who read generally hate him; his scads of best sellers that he cranks out at the rate of usually a few every 4–5 months while collaborating with other writers rankles any bookworm by the mere mention of his name. Admittedly, I turned my nose up at him too: How could a series of books written so fast with so many other writers be any good? The verdict: he is pretty much a terrible writer. Short chapters, poorly worded sentences, silly plots and equally silly dialogue. But, at the same time, he is also very engaging too. The stories and the characters sort of grab you, the same way you might get engaged in a TV reality cooking show. 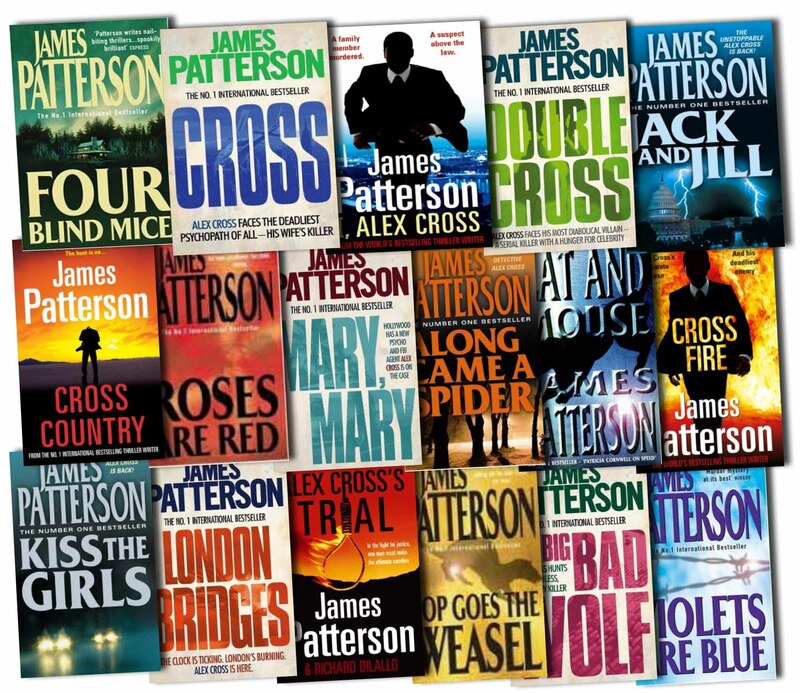 I went back to the library and started checking out the Alex Cross series in order; after I am done with these I will look into another series of his, perhaps “Women’s Murder Club”. My answer is this: Well, because, pizza. I like pizza. I like cheeseburgers. I like tacos. I doubt fully that anybody would call the food I get from Papa John’s or Wendy’s or Taco Bell (or as we call it it in our house: “The TB”) gourmet food, yet these chains sell billions of items to people who enthusiastically enjoy them regularly. There is no shame in saying I like a cheap slice of pepperoni every once in awhile and there should be no shame in the fast-food equivalent of fiction, Mr. Patterson. The thing is, not all writers get to be George R.R. Martin or Cormac McCarthy or Gillian Flynn or even Stephen King (who has been unfairly saddled with the “hack” label himself); on the outside of these authors is James Patterson and Lee Child and Tess Gerritsen. They are the relief for the busy mind when I want to sit and knock out a read in a few days (in some cases a few hours) before plunging back into the harder stuff. And what the heck is wrong with that? Novels are in their very nature meant to be enjoyed, right? So take my advice and get over your inner snob and grab a Patterson. Now if you’ll excuse me, Cross is hot on the heels of criminal master mind Kyle Craig!